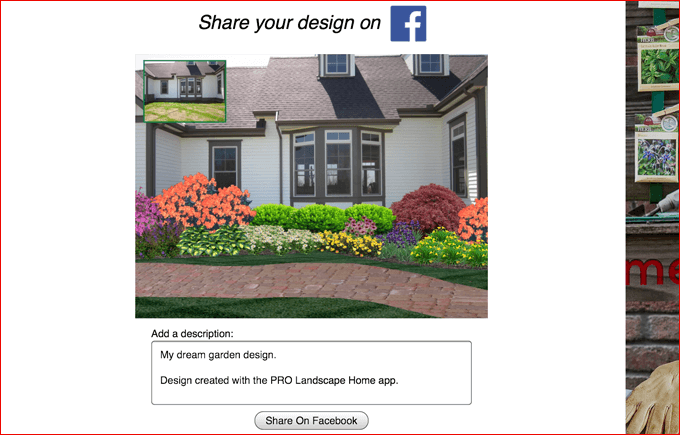 PRO Landscape Home is the Fun Way to Create Landscape and Garden Designs Using a Picture of Your House. 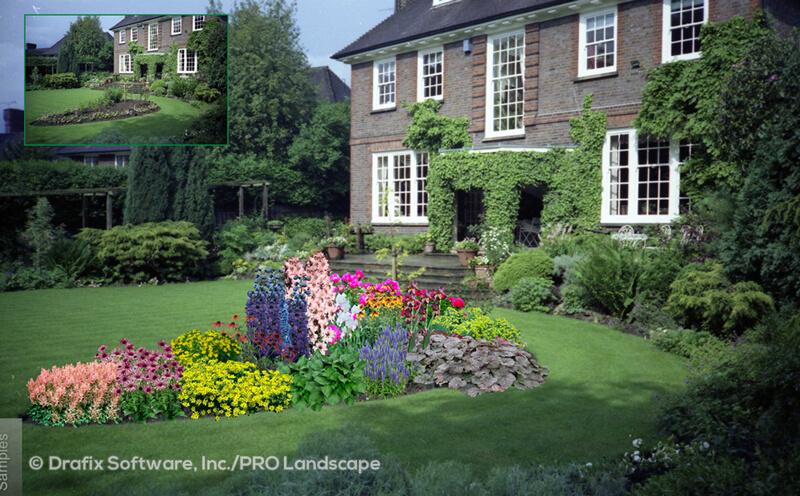 Start with a picture of your house and then add plants and other landscape materials to create a stunning design. When you are finished share it with family, friends and other gardening enthusiasts on Facebook, Twitter and other social media sites. 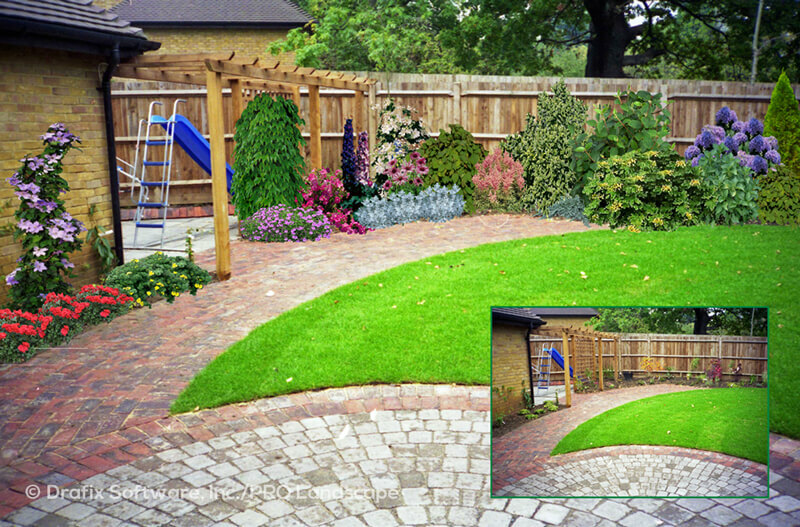 Then, turn your design into reality with the help of a local landscape contractor or garden center (centre). 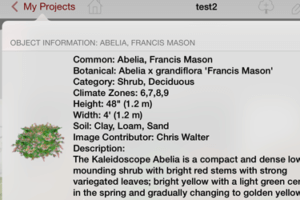 PRO Landscape Home is available for iPad & iPhones, Android tablets & phones and Amazon Kindle Fire tablets & phones. Create a new design and then take a photo or choose an existing photo. 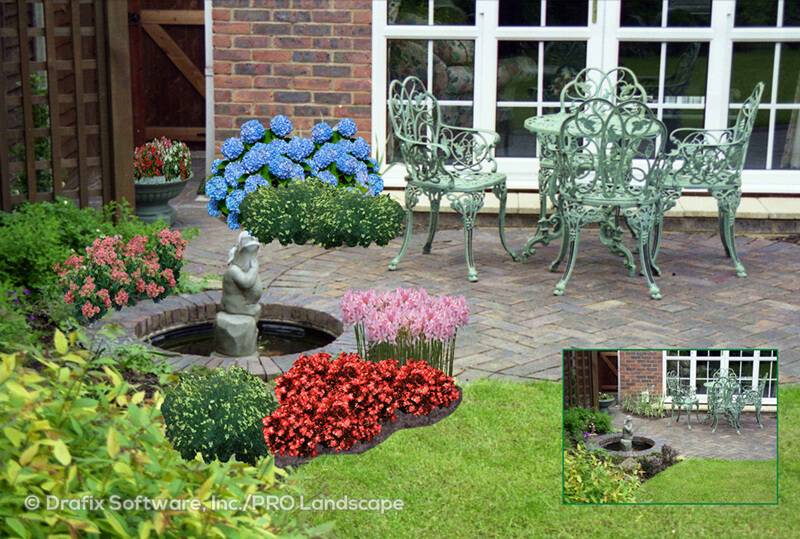 Draw in plants, grass, mulch, pavers, furniture, and more to enhance your design. Save your designs if you want to work in them more. Add the “before” picture to show a Before/After view. 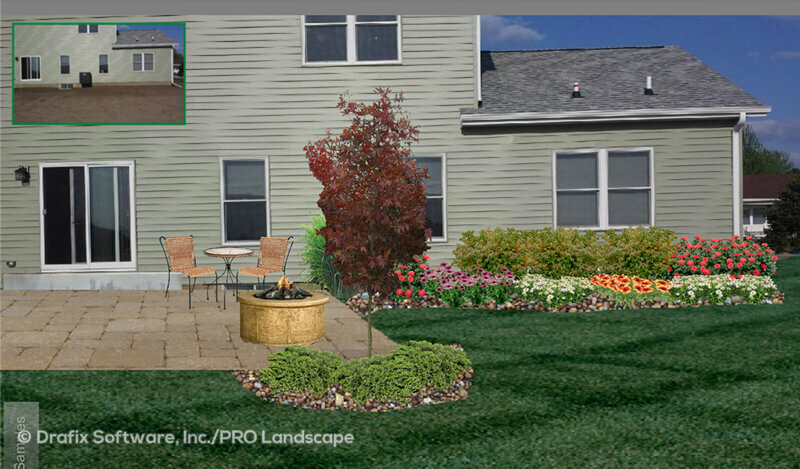 PRO Landscape Home lets you show off your design inspiration with family, friends and other garden enthusiasts. Add a comment and share on one or more social media sites. Of course you can also save, print or email your design. 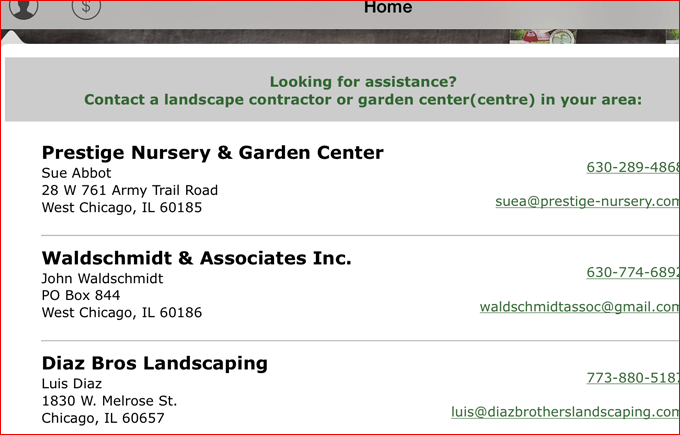 PRO Landscape Home includes a “Find a Professional” lookup feature that lets you find a nearby landscape professional. 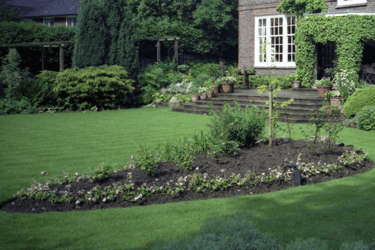 Find a landscape contractor if you want someone to give you a bid for your project. If you are a do-it-yourselfer (DIY) a local garden center (centre) can give you advise and help you pick out the landscape materials you need. 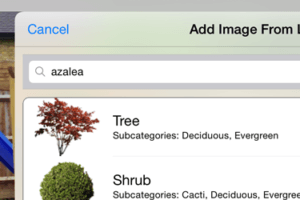 The image library is categorized making it easy to browse to find that perfect item. 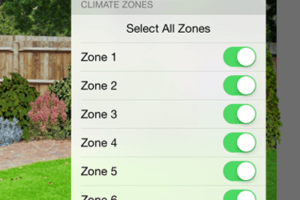 Set your climate zone to filter out plants that won’t work in your area. If you know what you are looking for you can search by common or botanical name. 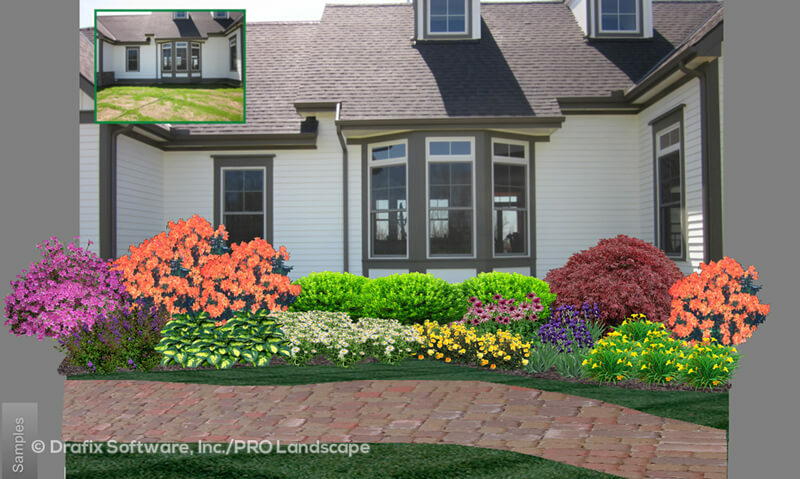 Turn your landscape designs into an artistic masterpiece in seconds. 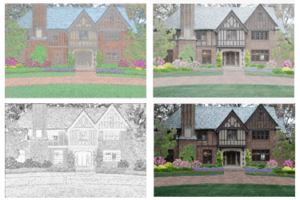 Choose from effects such as watercolor, color pencil, blueprint and more. 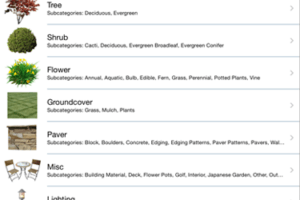 Each plant has detailed plant information including common & botanical names, climate zones, mature width & height, color, soil requirements and a description. 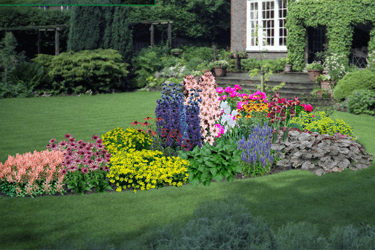 ARE YOU A LANDSCAPE PROFESSIONAL? Copyright 2018 – Drafix Software, Inc.